We have 34420 users already! a. Company information is saved into private profile. You do it only once, right after the registration, however you can change it anytime. b. Your clients and goods data can be saved, so you can fill all necessary information in just one click. b. You have to fill client data or choose it in one click from your saved list. c. You have to fill goods data or choose it in one click from your saved list. d. You have to press the "Preview" button. 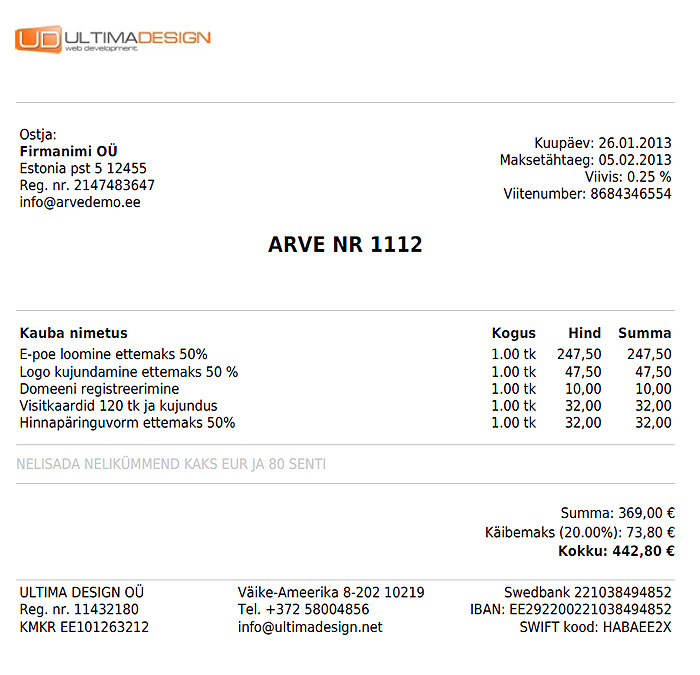 You can see preview of the invoice on your screen. If there is something wrong, you can press „Back“ and change it. 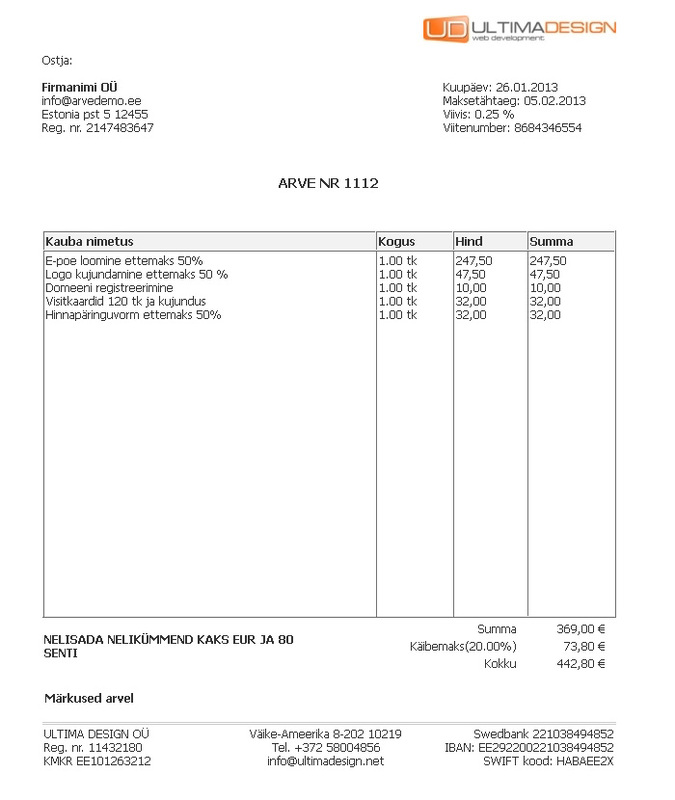 If everything is right, you can print, save and send your invoice by email.All invoices are stored in archive. You can see, send and delete them anytime. If upside is written minuarve.ee and at the bottom is URL adress, then press "print" -> "page setup" -> delete "Header" and "Footer" information and press OK.